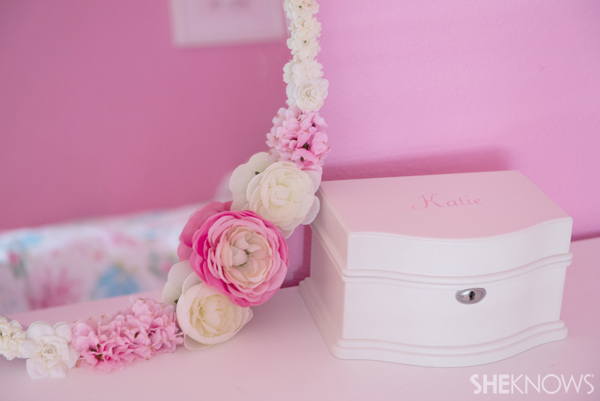 Often, it’s the little touches that can turn a plain room into something special. 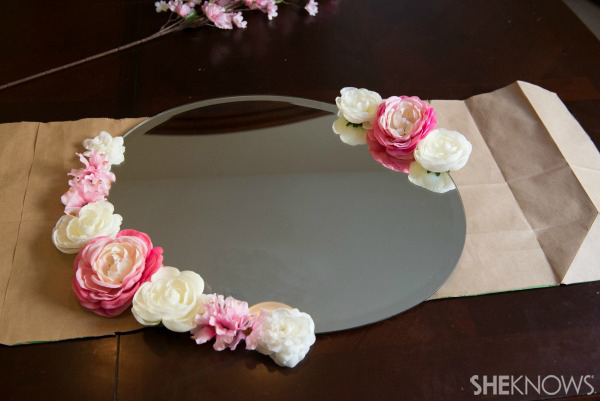 For this project, all you’ll need is a simple mirror, some craft store flowers, some glue and a little girl for your assistant. 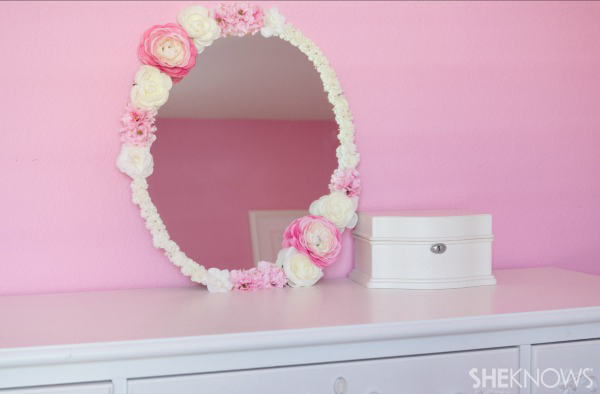 Your little girl will feel like a princess when she looks into this lovely mirror. While some craft projects are geared toward moms or kids, this one brings the best of both worlds together and leaves you both with a final product that you’ll always remember creating together. Clean mirror with window cleaner to prep the surface. Cover your workspace with craft paper or paper grocery bags, cut open. Lay mirror flat on your workspace. Plug in your glue gun and set it to low heat. Place a bit of glue on each flower, where the stem meets the base of the flower to prevent it from falling apart once cut. Allow the glue to dry completely. 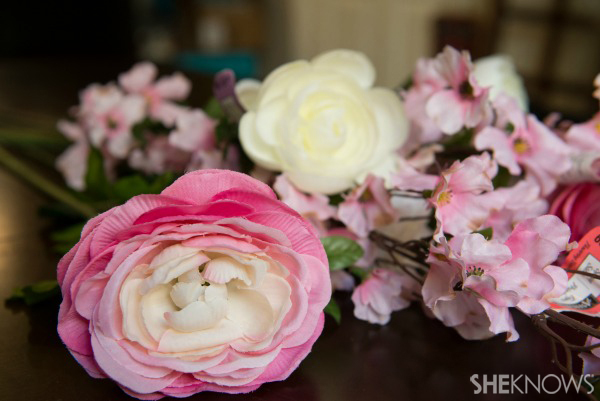 Have your assistant hold the silk flowers at the base and carefully use the wire cutters to snip the stems as close to the base of the flower as possible. 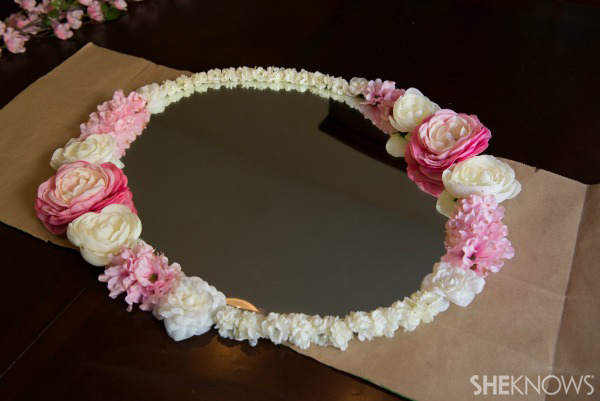 Begin gluing the flowers to the edge of the mirror, working from the largest flowers to the smallest. Once you’ve filled in the entire area, go back through and add small flowers to any gaps to create a full look. Allow the glue to dry completely. Clean up any stray glue strings. Hang and enjoy. Even on low heat, glue guns get incredibly hot and are best used by adults. By handing off the wire cutting duties, your child will be busy while you’re gluing. Silk flowers can be pricey. I saved money by splurging on a handful of large blooms and buying tons of smaller flowers that are more inexpensive. 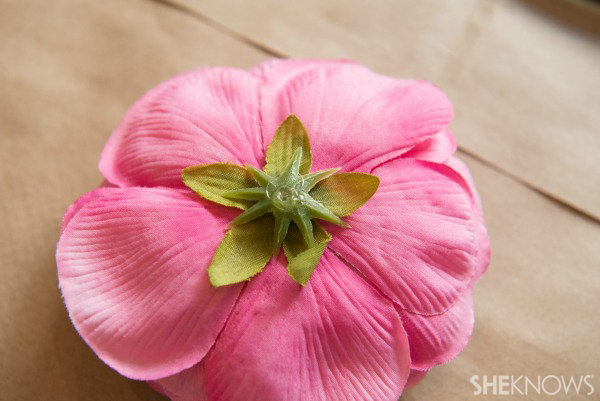 You can easily glue several small flowers together at the base to create a larger, fuller flower.